If this is what Blake Lively can come up with on one of her husband’s biggest nights, we can only imagine what the two deal out to each other on a regular basis. Ryan Reynolds received an honor on the annual Time Magazine’s Most Influential People list, so he and Lively got to attend the gala event. Other honorees included musician John Legend, who has not only been seeing great success in the past couple of years with his work on “Selma” and “La La Land,” but also in terms of his activism and political voice. So guess which one Lively was more excited to honor? Surprisingly, Reynolds’ reactions from the night are more subdued. So far he hasn’t publicly commented on his wife’s sick burn. Reynolds was among the honorees of Time Magazine’s 100 Most Influential People in 2017 for his work in and on “Deadpool.” In a short profile written by former “Women in Gold” costar Helen Mirren, Reynolds was described as an “Everyman” with a little extra. “Can the name be real? It is such a perfect movie-star name, like something that could be on a ’40s marquee. How fitting, then, that Ryan Reynolds has the same loose-limbed charm as Cary Grant and Jimmy Stewart,” Mirren wrote. Reynolds was honored, but he did have a correction for Time. 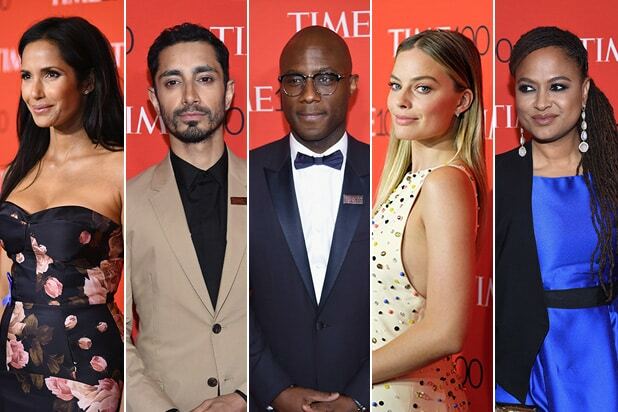 Time's annual gala honoring the 100 most influential people in the world was held at the Lincoln Center in New York City on Tuesday.